As a disc jockey at San Francisco FM radio station KMPX, Tom Donahue created America's first alternative radio programming in 1967. By playing album cuts, reintroducing live radio broadcasts, and utilizing the airwaves as a true public service to its listeners, Donahue founded "underground radio." 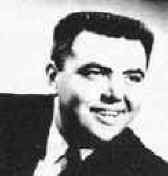 Tom Donahue first worked as a disc jockey during the late '40s in Charleston, West Virginia. He later worked at Washington, D.C.'s WNIX and Philadelphia's WBIG before being hired by San Francisco radio station KYA in 1961. Donahue and fellow disk jockey Bobby Mitchell formed Autumn Records in early 1964, hiring Sylvester Stewart (Sly Stone) as its principal producer. Autumn had hits with Bobby Freeman's "C'mon and Swim" in 1964 and issued the earliest hits of San Francisco's first major group The Beau Brummels. Autumn also recorded Grace Slick's first group, The Great Society. Donahue and Mitchell also produced rock concerts in the park at least two years before Bill Graham, including the Beatles final public performance on August 29, 1966. On April 7, 1967 Donahue took over the 8 p.m. to midnight shift at FM radio station KMPX. The station allowed Donahue to play album cuts, broadcast live music, refuse to air certain commercials, make public announcements of a political and general nature, and generally get involved with the community and its concerns. KMPX soon became the first full-time album oriented FM radio station. The format proved popular and was adopted by FM radio stations across the country. After a strike against KMPX management, Donahue and most of staff moved to KSAN-FM on his May 21, 1968. The station was virtually unchallenged as the area's top progressive rock station for years, and Donahue became the station's general manager in 1972. On the verge of becoming general manager and part owner of KMPX, Donahue died of a heart attack on April 28, 1975, at the age of 46.